Do you or your neighbor have a yard you would like to show off? Do you have drought tolerant landscaping? We need your help to find the best yard to recognize! 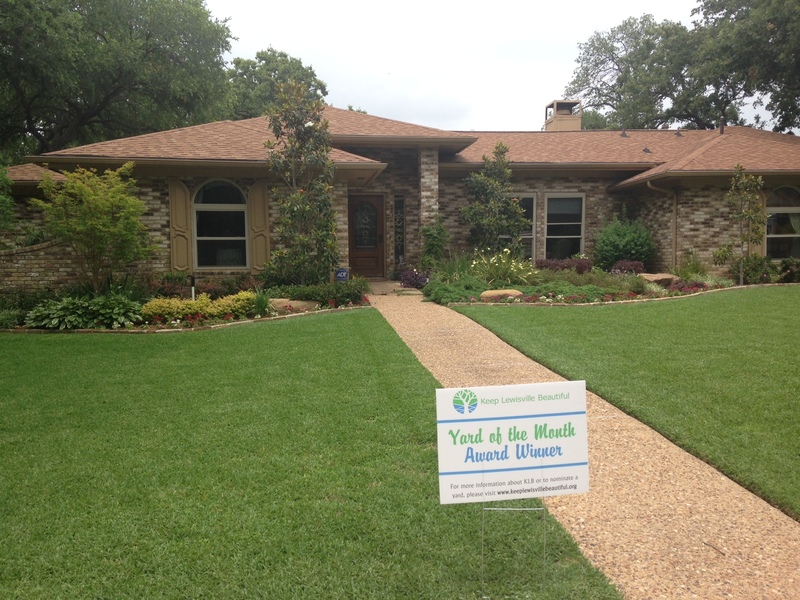 Nominate a yard for Yard of the Month! Every month from May-September, KLB honors one business and one residence who take pride in their yards and landscaping. 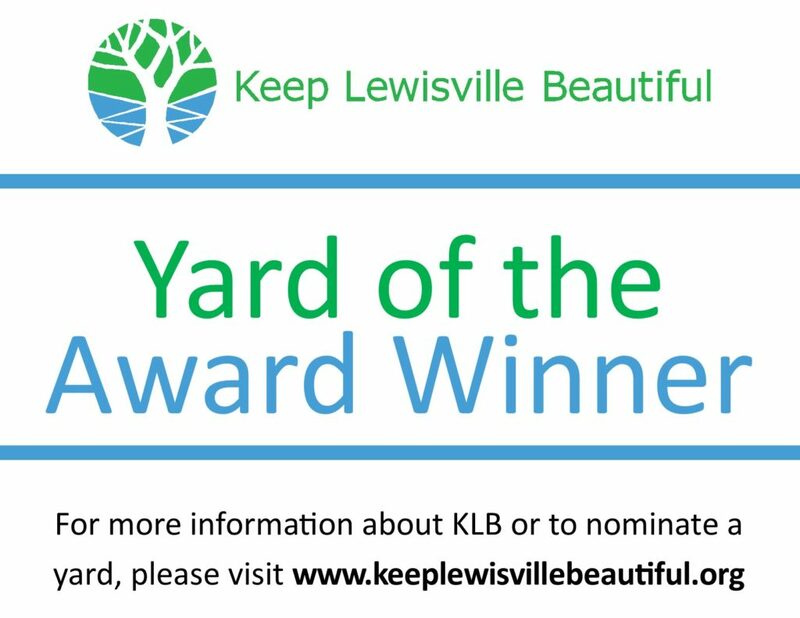 Winners receive a sign to place in their yard and will be featured on Keep Lewisville Beautiful social media. 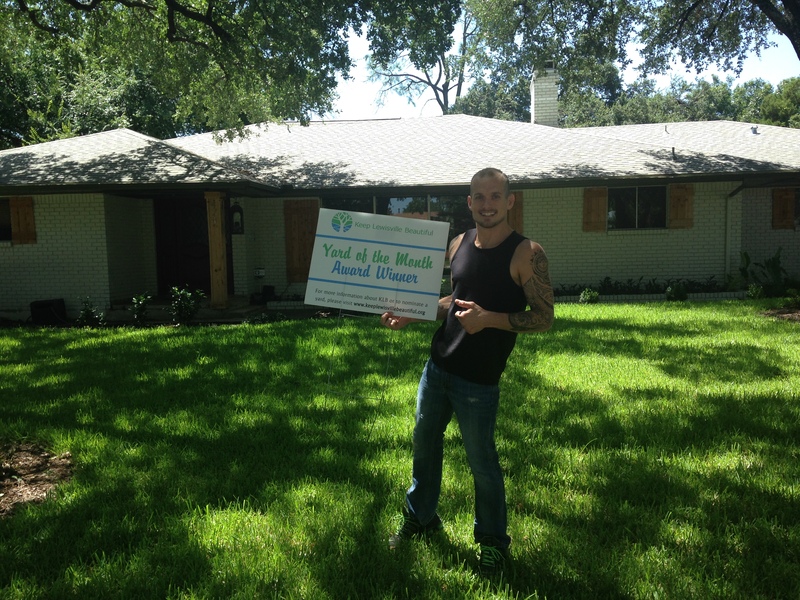 Show someone you have noticed their hard work and nominate a yard today! Nominations are accepted up to the 15th of each month. Each nomination received after the 15th is put on the list for the next month's YOM. Votes are accepted until the last day (15th- 30th or 31st) of the month for current competitions. Votes are accepted through social media platforms only (Facebook, Twitter, Instagram). Winners will be announced the first week of the next month. Due to the overwhelming response of nominations, KLB will only be able to accept up to 10 nominations per month. Nominations received after we've reached this limit will be placed on the next month's list. 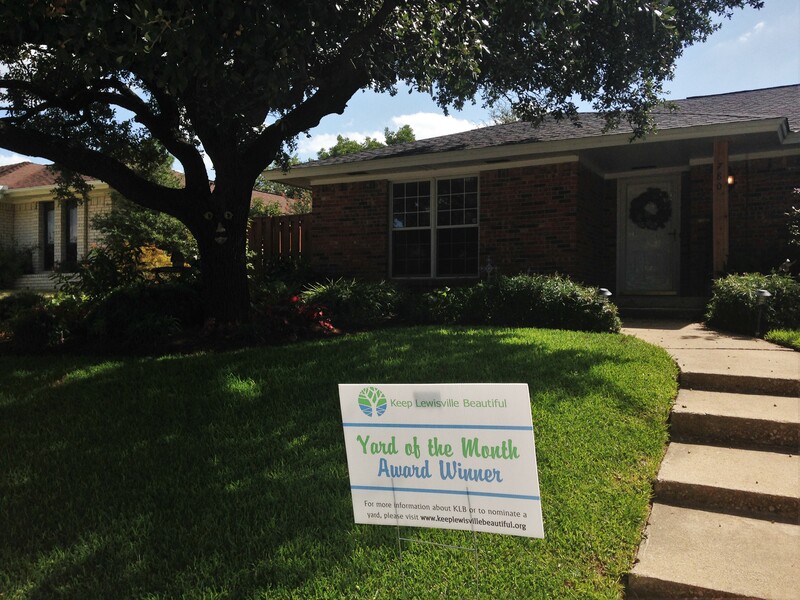 To vote in the current Yard of the Month Competition, please visit the Keep Lewisville Beautiful Facebook Page and check out our Yard of the Month album. Each month it will be pinned to the top of the KLB page for easy access.